After recent allegations that Walmart was involved in a $24 million bribery scheme in Mexico, I decided to write a blog series about potential corruption risks that blind side so many people wanting to do business in Latin America. In this part 3, we’ll look at another one of the causes of potential fraud: the lack of order and/or transparency in bankruptcy proceedings. In some Latin American and Caribbean (LAC) countries, there are no established procedures to manage insolvencies. In these nations, if a borrower defaults on a loan, lenders initiate a mad rush to liquidate the encumbered assets as quickly as possible. These liquidation auctions are called “remates” and are chockfull of dubious processes. Even worse, it does not matter what event triggered the default, or if the default could be cured with just some extra time, the likely result will be liquidation for pennies on the dollar — but only a privileged few get to do the buying. You may be asked for bribes to join that elite group. If you are a direct creditor or debtor, you may be pressured for bribes to steer the liquidation process one way or the other. But probably not if you’re involved indirectly (through stocks or bonds), because you stand next to a zero chance of recovering anything. So forget about investing in distressed securities in these countries! In other LAC nations, there may exist an “orderly” bankruptcy system, but be careful that it’s not corrupted. Even in Chile, which has long led Latin America in the rule of law and transparency, fraud scandals in insolvency proceedings were quite common as recently as a just few years ago. And their system was not even run by the public sector (a typical facilitator of corruption in Latin America). In an attempt to keep government (and politicians) out, Chile long ago “privatized” their bankruptcy proceedings. Unfortunately, the privatization was poorly conceived and was thus vulnerable to corruption. For example, since private-sector receivers were appointed by bankruptcy judges (and not the creditors), receivers would routinely bribe judges to assign them the larger cases with the big fees. Another problem was that both parties (creditors and debtors) would routinely get slammed with exorbitant receiver expenditures (with the court’s blessing) because there was no fixed schedule of fees. The process of reforming Chile’s privatized bankruptcy system began during the administration of socialist Ricardo Lagos (2000 – 2006). By the end of his term, the entire privatized system was overhauled. In today’s Chile, it is the creditors who appoint private-sector insolvency receivers (instead of the courts), but only from a pool of candidates who have no prior commercial relationship with either the creditors or debtors. In addition, potential receivers must have a university degree, 5 years of business experience, and pass regular testing to get (and keep!) their license. Furthermore, a fixed schedule of fees was introduced to prevent abusive billing. Finally, the new law revamped the Bankruptcy Commission – granting it with real power to oversee, test, license and discipline private receivers. It is these kind of pro-active, anti-corruption measures taken by Chile that ranks it best in Latin America (and #22 out of 183 countries), according to Transparency International‘s annual corruption index. Note that a ranking of 22 puts Chile’s transparency and accountability on a par with the United States!! Keep this in mind as you plan your company’s expansion into Latin America. Until next month, I look forward to all your comments! Excellent article that reflects our experience in Latin America. –	there is no substitute for effective due diligence prior to investing. –	if things start to go wrong with an investment, denial is the No. 1 enemy. Quick action is required! Thank you, Peter, for your comments. I could not agree with you more: rigorous due diligence PRIOR to investing anywhere in Latin America is absolutely critical. Really interesting article. That means Chile is one of the LATAM nation where make a new business, for overseas companies, it is much more safety than the past. Absolutely correct, Gaetano. By far, Chile leads Latin America in ease (and safety) of doing business for foreign investors. Thanks for your comment. Interesting article-still a long way to go for Chile or Colombia where seems to be so open to improve regulations/laws for the foreign investment. Gloria, there is indeed a long way to go…but at least both countries seem to be moving in the right direction!! Thanks for your comment. 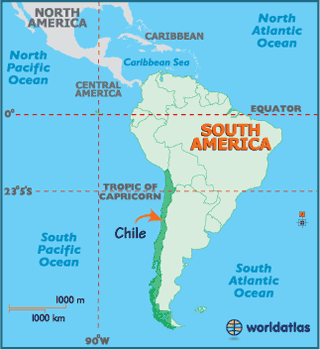 Thank you, Raul – an interesting and informative Post on Chile. Such clarity assists our efforts this side of the Atlantic in promoting Latin America generally to UK based businesses and investors looking to engage with new markets and opportunities. It may be near impossible to legislate away the cultural behavior in most Latin American countries of ASKING for bribes, but I am very encouraged by anti-bribery laws such as the one that just went into effect July 2011 in the UK. Considered one of the strictest in the world, the UK Bribery Act of 2010 will at least reduce the number of players willing to PAY OUT the inevitable request for bribes. Martin, best wishes in your efforts to do more business in Latin America. Let me know if I can help in any way.